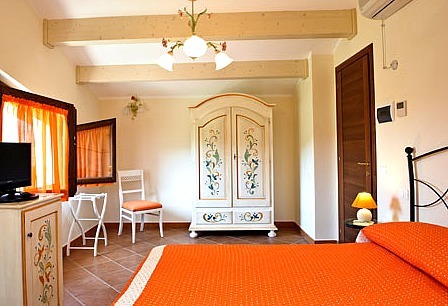 A bed and breakfast in Florence Italy is a type of accommodation that is cozier and more quaint than a hotel. 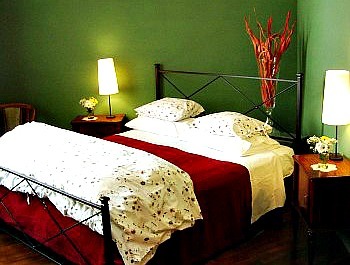 B&Bs are usually family-run and small-scale lodging houses with a friendly touch and a personalized decor. While bed and breakfasts don't offer amenities that hotels do (eg pool, gym, laundry service, etc), they make up for it with their family type atmosphere and lower prices. Below is a selection of some of the best choices to find a bed and breakfast. If you prefer to see an overall list of all B&Bs in Florence go straight to the booking page for bed and breakfast Florence Italy! 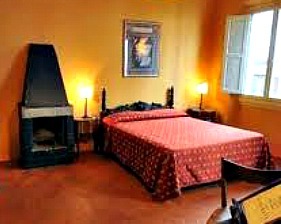 You could not ask for a more centrally located bed and breakfast in Florence Italy than this one. 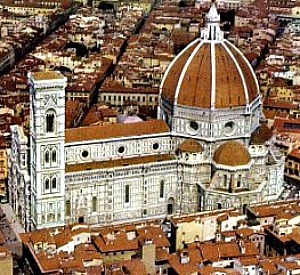 'A Florence View' is situated right in front of the Duomo, talk about a room with a view! Some rooms open up directly onto the Baptistery, Giotto Bell Tower and the Florence cathedral, which means not only a beautiful vista but also walking distance to all the sights. Here your accommodation is in a palazzo from the 1600's, your breakfast is served privately in your room, and each room is decorated differently in tasteful Tuscan style decor. Overall this B&B is cozy and charming. 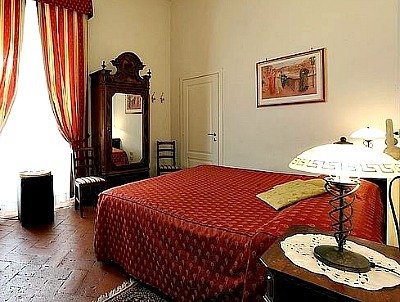 If you're looking for a bed and breakfast in Florence Italy this is one of our most popular. 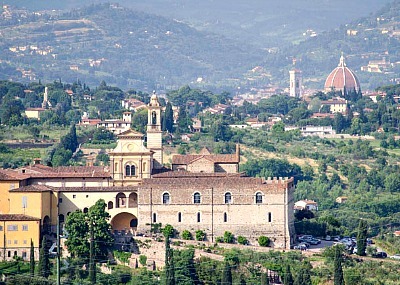 Located near the gorgeous Boboli gardens and Pitti Palace (2 'must-sees' of Firenze!) 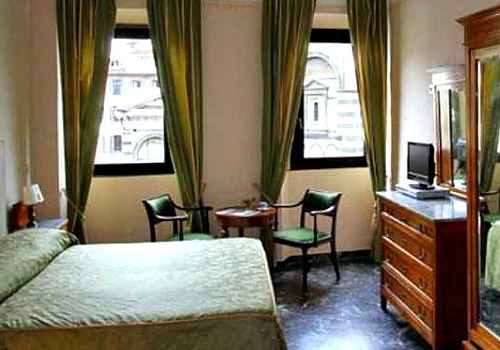 , 'Home in Florence' is a mere 15 minute walk to get the Ponte Vecchio and other main sights. Situated in the quaint 'artisan quarter' of Firenze, the neighborhood has lots of character and old-world flavor, plenty of traditional restaurants full of locals and is perfect if you would like to be a bit off the 'normal' tourist routes in a quieter part of town. Giglio Bianco - cozy, charming, great for foodies! Are you a food lover? Then this is the bed and breakfast in Florence Italy for you! The place is run by Vary, a chef, who holds on-site cooking courses and custom prepared meals for guests upon request. Cooking is considered an art, where Tuscan traditions are upheld and shared with guests, with some modern flourishes thrown in here and there. Breakfast too is special, not just pastries and coffee but omelettes with creative fillings and other original touches like homemade jams and crepes. Vary and her husband Edo make you feel like you're old friends staying at their place for a few days. In fact, this is a real B&B in the sense you actually ARE staying in the owners home as they live there too. Looking for a B&B that's central and convenient for sightseeing? This is a great choice. Simple, clean, with all the necessities, 'Locanda della Musica' is a newly refurbished Florence accommodation that will meet all your basic lodging requirements. Large rooms, generous and varied breakfast, within walking distance to the station and all the city sights. 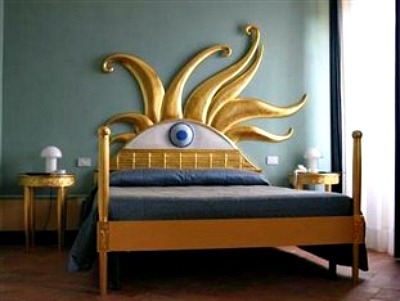 Villa Castiglione is a bed & breakfast in the hills surrounding Florence. If you have a car and are looking for a peaceful oasis away from the city for your accommodation, this is it! This villa is a former convent and the rooms used to be the friars' cells (don't worry though, they are not small). The whole place has been remodelled with a singular taste, original and colorful with a Spanish flair. fabulous views of Florence, just 15 minute drive to go into the city (there's also a bus), swimming pool amid the olive trees and Tuscan fields, gourmet restaurant on site with decent prices (Florentines come here to dine on the terrace overlooking Firenze), a small B&B with just 12 rooms so Villa Castiglione is a charming Florence hotel and quite cozy and romantic. Another plus, if you want to have a countryside get-away for your accommodation in Florence, Villa Castiglione is handily located a few minutes from the motorway as well as the main road into town, so you get the best of both worlds, a peaceful lodging with easy access to tourist destinations.